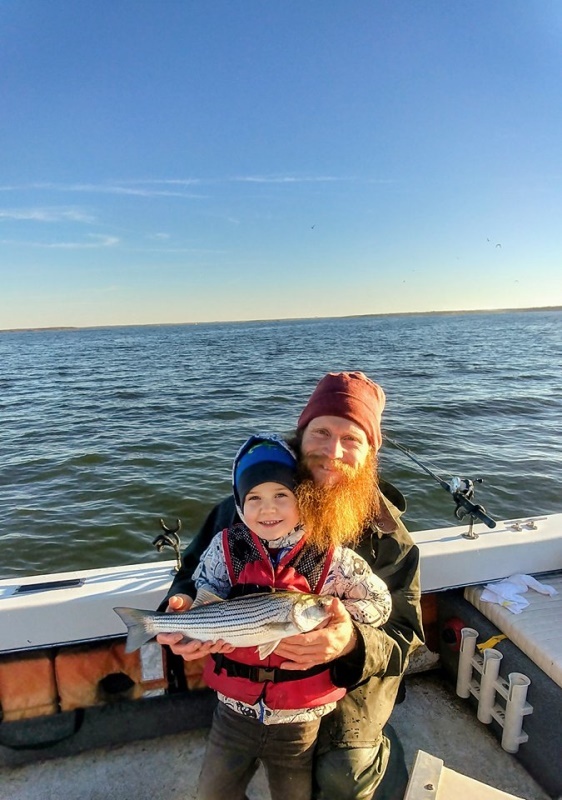 Lake Texoma Fishing Report :: Make Memories With Us! 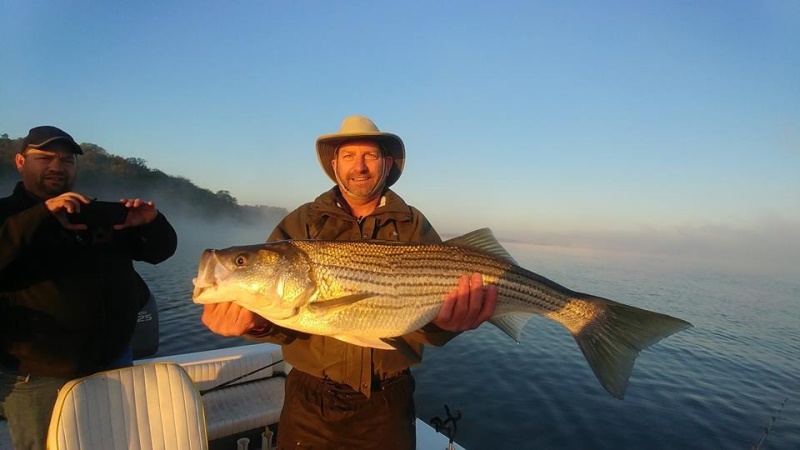 Many people are surprised to find that striper fishing on Lake Texoma is good during the winter months. Winter can be some of the best fishing of the year and happens to be my favorite season to fish. During the winter there are fewer boats and more wildlife on the water which creates a more peaceful atmosphere and makes it easier to catch fish since there is less pressure from other fishermen. 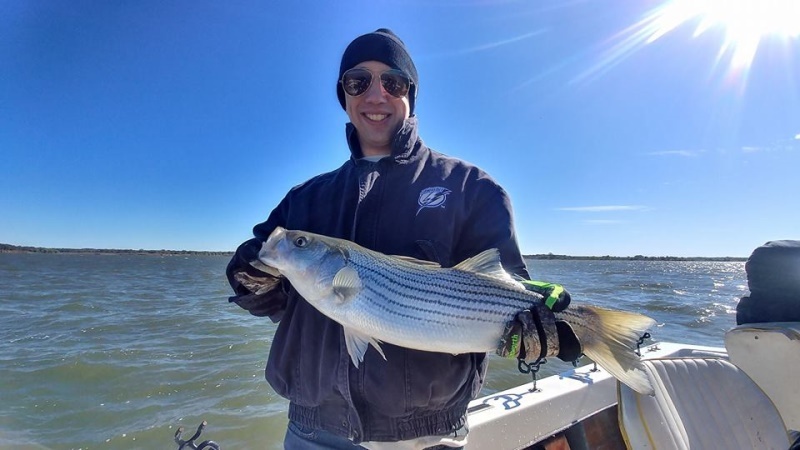 This year looks like it is shaping up to be an exceptional winter fishing season, our current fish population is as good as I have seen in several years and is only getting better so I expect to see lots of fat and sassy striper being caught all winter long. Right now, the fishing is fantastic! 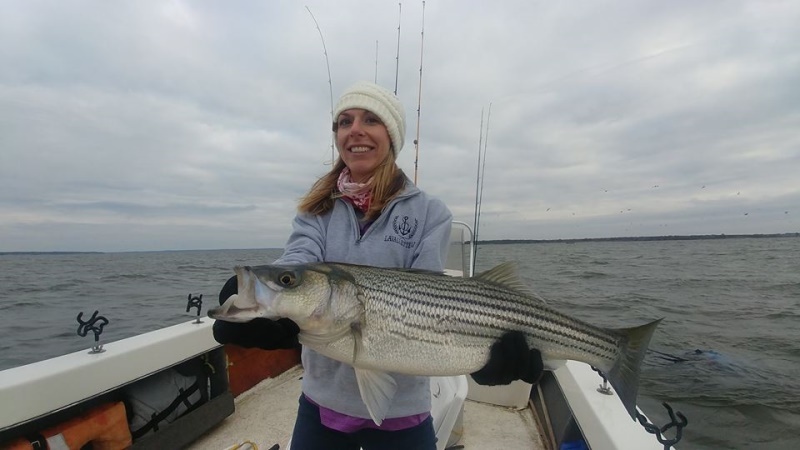 Catching our limits of stripers and releasing many more is a common occurrence and has been all throughout the fall. Live bait and lures are working equally well for catching fish and we are rigged up to use both. The seagulls are here and feeding in droves all over the lake. Also known as nature's fish finders, seagulls make it easy to locate fish and add to the excitement of the feeding frenzy. Our other winter birds have also arrived, loons, cormorants, bald eagles, and all types of waterfowl are to be seen and herd flying through the skies, adding their own magic to the experience. My lure of choice for the colder weather fishing is a glow in the dark sassy shad which which works excellent catching fish from late fall through early spring. Right now we are casting them under the feeding seagulls but soon we will be reeling them slow along the bottom over structure like ledges, stump beds and creek channels. Varying your speed from slow to fast and pausing your retrieve will help to trigger a bite. If you have never casted before not to worry, I'm great at teaching people how to cast using our spinning reels and we can always use live bait if need be, I'm always happy to accommodate for the needs of my group. The holidays are fast approaching and a fishing trip is a great way to make memories with friends and family. To book your trip or purchase a gift certificate give us a call at (903)815-1609 or you can book online at www.stripersinc.com. If you have any questions, don't hesitate to ask, we would love to hear from you. I'll be looking forward to fishing with you.